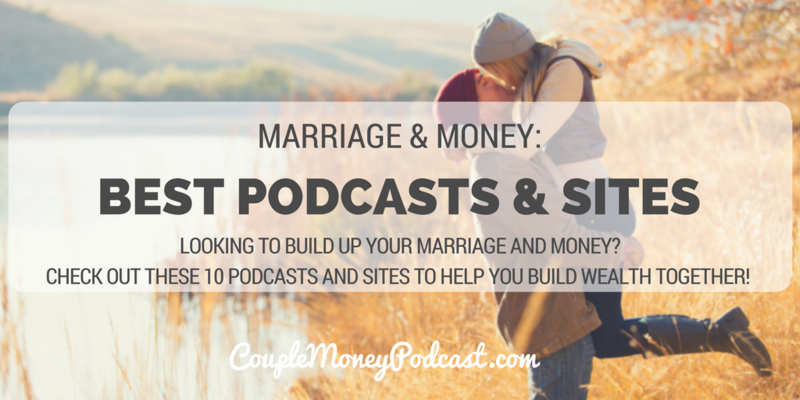 Looking to build up your marriage and money? 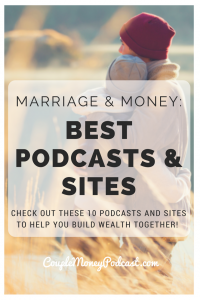 Check out these 10 podcasts and sites to help you build wealth together! deciding if one of you can stay or work from home with the kids. Money isn’t the most important thing, but it can really mess up a marriage. When I began, there weren’t many places that dove into both sides. Now there are plenty of wonderful sites and podcasts. And while there is definitely overlap in topic, they are each different. It makes sense because each couple has their own DNA and approach. 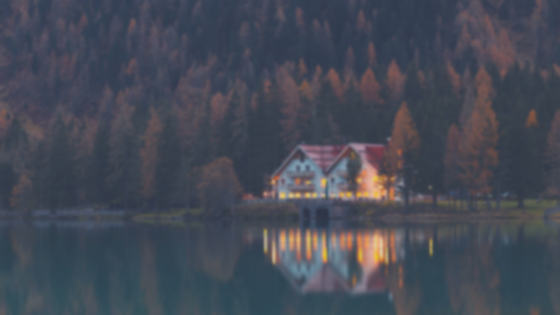 Today I want to share 10 of my favorite sites and podcasts I’ve enjoyed and have learned from. While not all of them may be your wheelhouse, I’m pretty sure you’ll find some new favorites. His & Her Money -Tai and Talaat McNeely share their story of falling in love, getting married, but being total opposites when it came to handling their finances. They came on this podcast and we got into several issues that can come up in marriage including financial infidelity. One Extraordinary Marriage – Tony and Alisa DiLorenzo focus is intimacy, whether it’s emotional, financial, physical. They’ve committed to being open and frank about their marriage and give practical tips on becoming more connected. Marriage, Kids, and Money – Andy Hill is focused on taking care of his family. They are on a quest to become financial free and as you may remember from a few episodes ago, Andy and Nicole are one year away from paying off their mortgage. The Smart Couple – Jayson Gaddis has created a resources for couples looking to have a deeper conversations and a more meaningful commitment. Family Balance Sheet – Kristia’s site is a fantastic spot for spouses looking to get smarter and wiser with their finances. If you are looking for motivation to become debt free, please check out her series. The Budget Mama – While the focus is on budget, Jessi gets into marriage covering how to respect one another when coming with a spending plan. It’s real life on a budget. Mom and Dad Money – Matt Beck is a fee-only financial planner who started his site to help new parents build happy families by making money simple. He covers big picture goals like financial Independence but also the day to the day stuff of parenthood. Engaged Marriage – Dustin Riechmann created Engaged Marriage to offer practical tips, tools and training to help busy married couples deal with communication, financial, and romantic issues. Order of Man – Ryan is dedicated to helping men step up to their potential including marriage. Ryan interviews men at the top of their field. While not all the topics relate to me, there is so much gold in the ones that do. My favorites tend to be the Friday field notes. 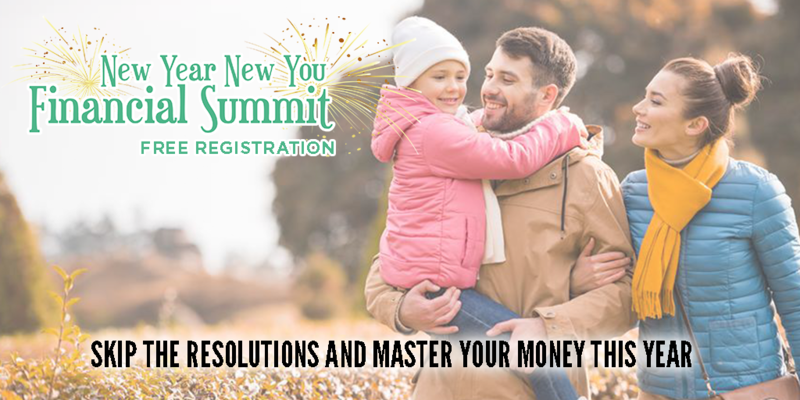 We’re hosting the New Year, New You Summit. It’s a huge week-long event that you can catch from home. It’s going to be happening January 9-13, 2017. And the best part? You can watch the summit that week for FREE! You just have to register and we’ll save you a spot. To prepare and celebrate I’m hosting a webinar and 2 Q&As. The first Q&A will be this Wednesday that’s the 21st at 12pmET. We’ll be jumping into getting on the same page with your goals. I’ll be taking questions so you can send them in beforehand.